We have worked with Townley Girl before and really like their products. This time we have a couple sets inspired by Despicable Me 3. We have Lip Balm, Lip Gloss and Nail Polish kits. Of course the products are designed with Minions, Unicorns and Agnes, Edith, and Margo. We started out with the nail polish kit ($5.99). It was a hit! There are three girly, glittery, nail polishes, Who's Up for Trouble, Unicorns I Love Them and I Can't Even... 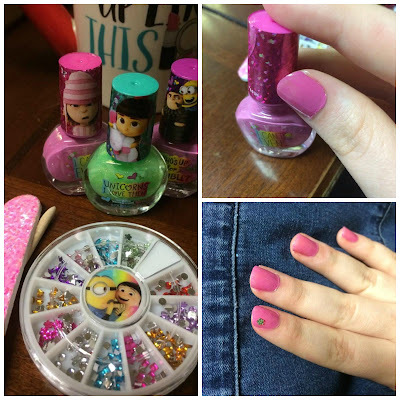 Along with the nail polish is a cuticle stick and a glitter, pink, nail file, that is nice and short and wide for smaller hands. Last, but not least, is a small container of nail jewels. (Please use adult supervision.) The nail polish is non-toxic and peelable. 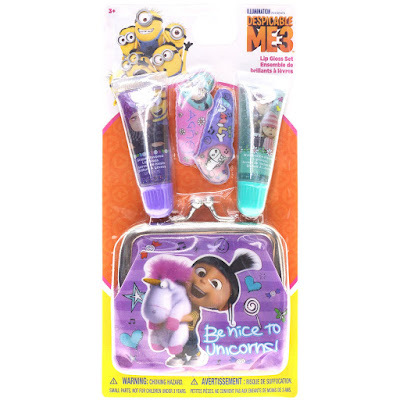 The next kit ($4.99) we opened was a small, purple, coin purse with Agnes and her unicorn on the front. Included with this was two lip glosses, one grape flavored and the other watermelon flavored. The last two items are hair clips. The pink one features Agnes and her unicorn and has "Agnes" written on it. The other is the unicorn with Family. Oh, and the change purse says, "Be nice to Unicorns!" 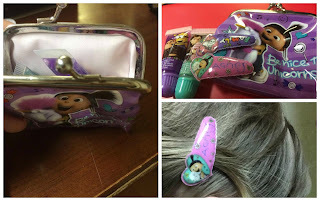 Both the clips and lip glosses fit inside the coin purse. 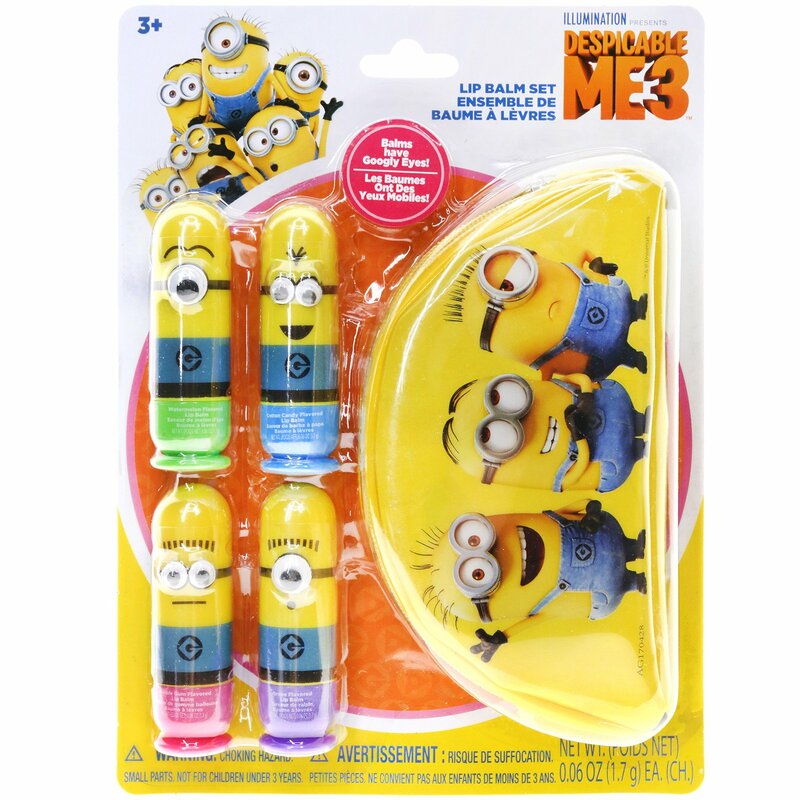 They also have a Lip Balm kit ($7.99) that includes 4 adorable Minion shaped lip balms, right down to the googly eyes. 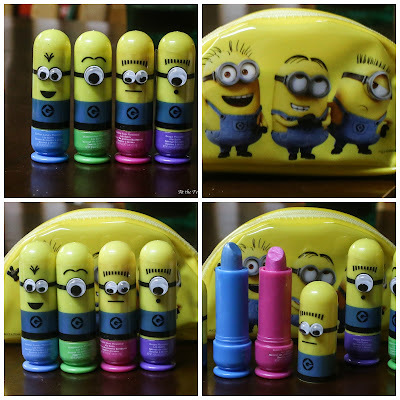 A sort of banana shaped bag, yes, it is yellow, is included with the lip balms. The bag has three Minions pictured on the front. Above you can see two of the lip balm colors. They are lightly tinted. 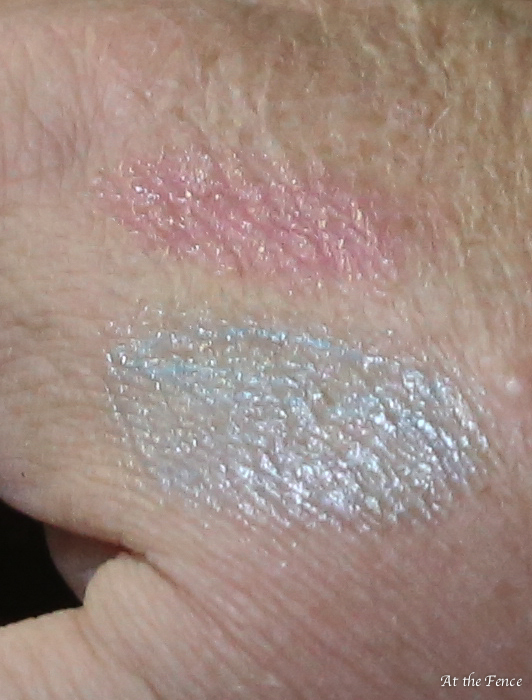 I had to put several layers to even get the color to show up this much. The scents are pretty nice too! There is Bubble Bum, Watermelon, Cotton Candy and Grape. If you have a little girl, who loves to have her nails done, and enjoys having lip gloss and lip balm, these are the perfect little sets. They would make great holiday gifts too! I am sure many of you are already shopping and picking up small gifts for the holidays, why not consider a gift set from Townley Girl. 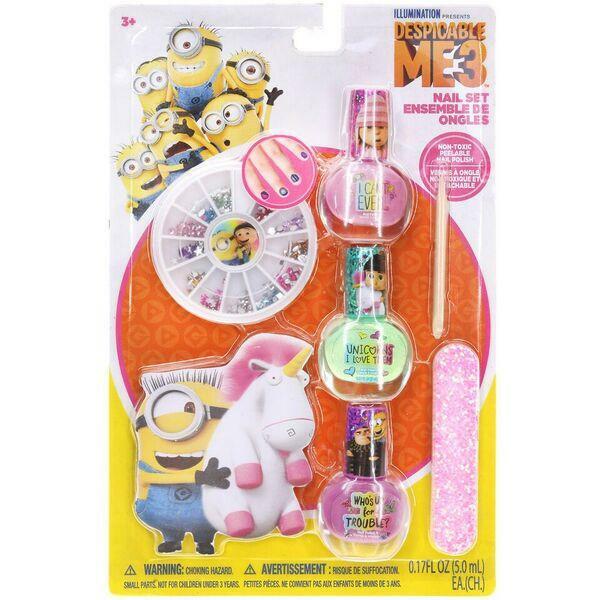 One neighbor will be able to win Despicable Me 3 product from Townley Girl. 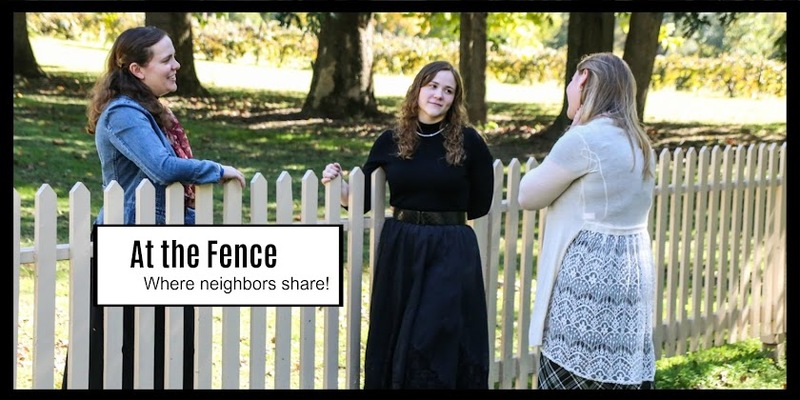 Be sure to enter this giveaway! My little cousin likes the nail polish. I like the Despicable Me 3- 5 Pack Lip Balm with Holographic Carrying Case. I love the Despicable Me 3 Lip Balm Set with Banana Bag! THey arrived today and are perfect Christmas gifts! It was a lip gloss set (looks like a smart phone covered in bling every girl loves bling ;) ! And a nail polish set w/ 8 different colors! Blues, purple, pinks, and yellows! Thank you for making me a winner! Ya'll are amazingly awesome!